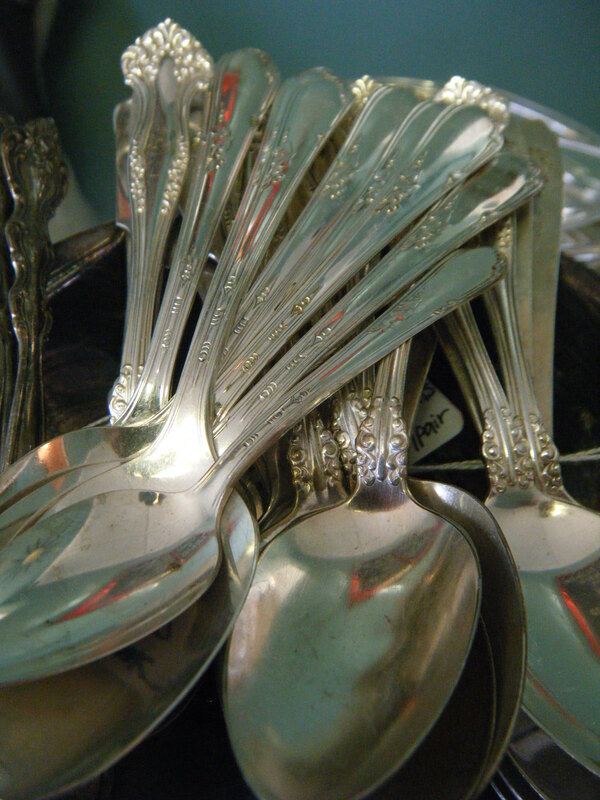 I recently pulled out my pile of vintage silver plated flatware for the shop. I was hesitant to do so because I really don’t want to sell them…and this is reflected in my prices. 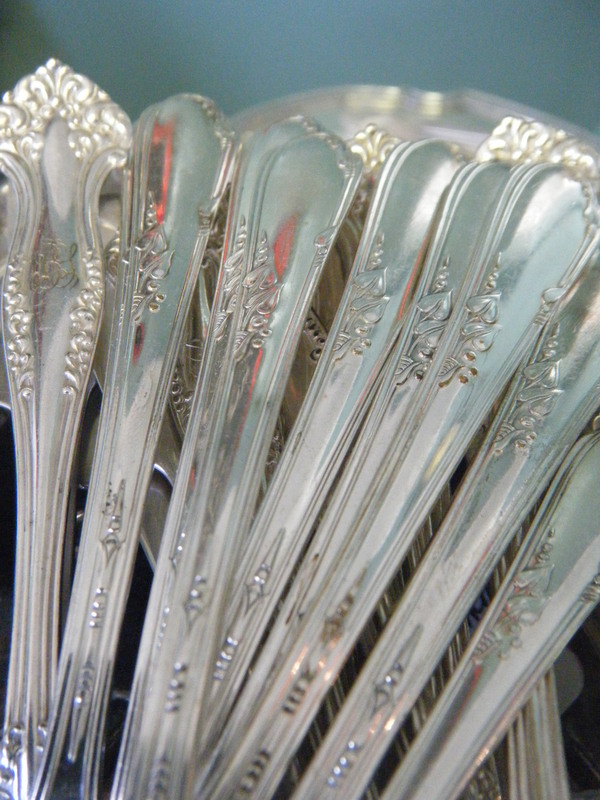 I absolutely adore every single piece of vintage silver plated flatware and have spent countless hours polishing and researching patterns with pleasure. I can’t yet afford sterling silver, especially with the surge in silver prices, but the monetary value is, if anything, second to the artistry and beauty of every single piece and pattern. There was a time when a meal was more than a quick drive-thru window or five-minute microwave wait away. 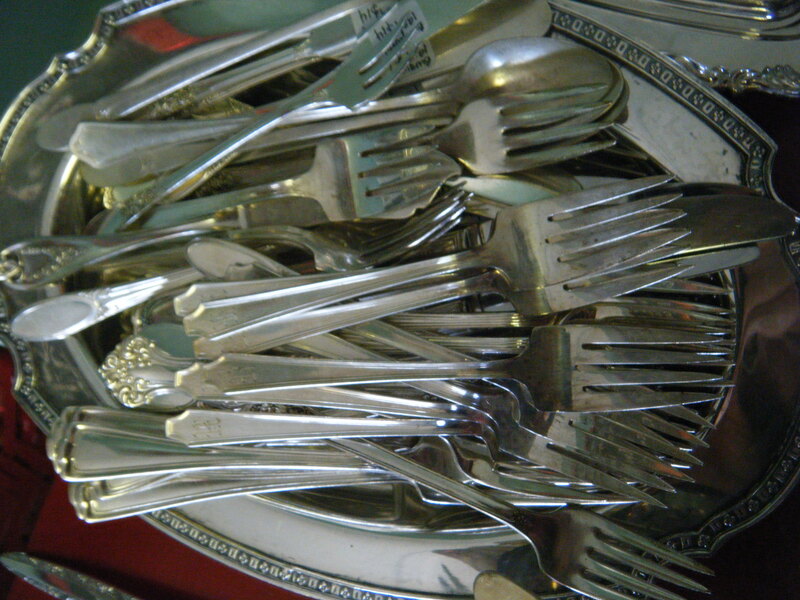 A meal was an ordeal…an event complete with dinner forks, salad forks, soup spoons, teaspoons, oyster forks, asparagus servers, and carving knives. 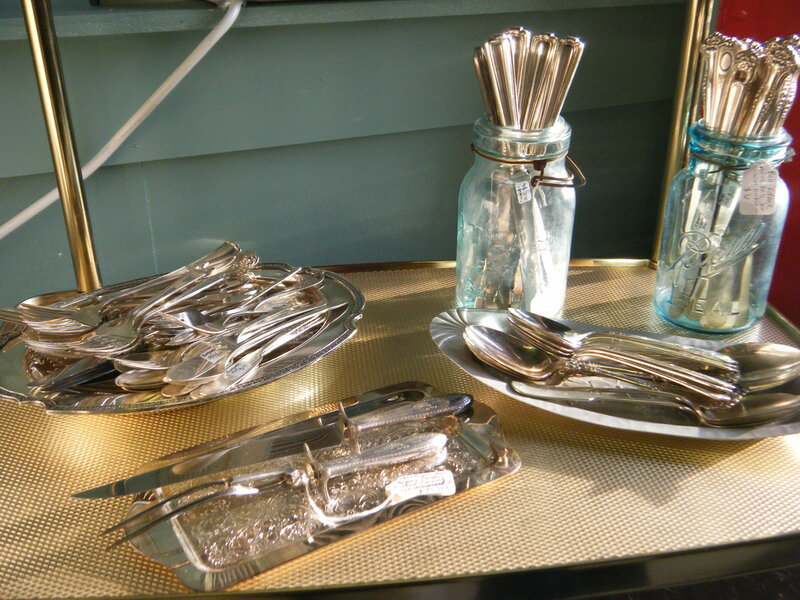 Poetry and precision were in the place setting, which is reflected, ironically, in the very fact that silverware tarnishes when unused, but remains shiny when in daily contact with the human touch. I worry that the influx of silver and metal meltings for monetary gain will actually impose rarity upon certain, if not all, silver and silver plate patterns and pieces. Imagine, if you will that canvas was suddenly given an astronomical value, that which surpassed the value of the artwork upon it. Would it make since to “scrap” the Picasso’s and Van Gough’s of the world for a little cash? I know, I know, it’s a stretch of an example, but these beautiful old silver and silver plate pieces are works of art in my mind and deserve to be used and treasured today as they were in the past.